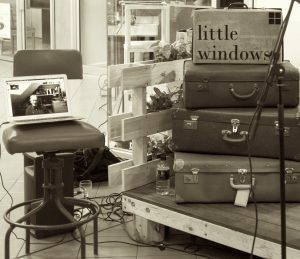 With the help of Rachael Mead, Katherine Arguile and Jennifer Liston, Little Windows launched its first chapbook series, LW1 in the fabulous Topham Mall coffee shop Booknook and Bean in June 2016 in Adelaide, Australia. Staunch supporters of all things literary in Adelaide, Booknook and Bean not only sell delicious coffee and cakes, all the money from sales of their second hand books goes directly to support start-up businesses in developing countries via Kiva. 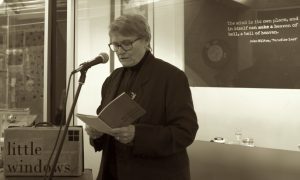 Authors Jill Jones, Andy Jackson, Alison Flett and John Glenday (skyping in from Scotland) were introduced by Adelaide poet Jennifer Liston. Poetry was read, wine was drunk, food was consumed, books were bought. And a fine time was had by all. To learn about our authors and read sample poems go here and click on individual books.